• Do not drive the vehicle unless the occupants are properly seated. Do not allow any passengers to sit on top of a folded-down seatback, or in the luggage compartment or cargo area. Persons not properly seated and/or not properly restrained by seat belts can be severely injured in the event of emergency braking or a collision. • During driving, do not allow any passengers to stand up or move around between seats. Otherwise, severe injuries can occur in the event of emergency braking or a collision. 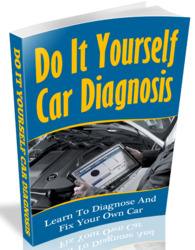 • Move your seat to the rear as far as you can while still reaching the pedals comfortably. • Slightly recline the back of the seat. Although vehicle designs vary, many drivers can achieve the 250 mm (10 in.) distance, even with the driver seat all the way forward, simply by reclining the back of the seat somewhat. If reclining the back of your seat makes it hard to see the road, raise yourself by using a firm, non-slippery cushion, or raise the seat if your vehicle has that feature. • If your steering wheel is adjustable, tilt it downward. This points the air-bag toward your chest instead of your head and neck. The seat should be adjusted as recommended by NHTSA above, while still maintaining control of the foot pedals, steering wheel, and your view of the instrument panel controls. The SRS front passenger airbag also deploys with considerable force, and can cause death or serious injury especially if the front passenger is very close to the airbag. The front passenger seat should be as far from the airbag as possible with the seatback adjusted, so the front passenger sits upright. The SRS side airbags are installed in the driver and front passenger seats. • Do not lean against the front door when the vehicle is in use, since the side airbag inflates with considerable speed and force. Otherwise, you may be killed or seriously injured. • Do not use seat accessories which cover the area where the side air-bags inflate. Such accessories may prevent the side airbags from activating correctly, causing death or serious injury. • Do not modify or replace the seats or upholstery of the seats with side airbags. 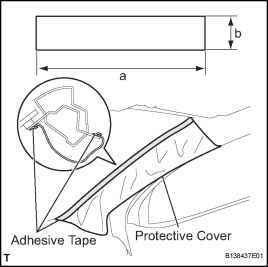 Such change may prevent the side airbag system from activating correctly, disable the system or cause the side airbag system to inflate accidentally, resulting in death or serious injury. • Do not adjust the seat while the vehicle is moving as the seat may unexpectedly move and cause the driver to lose control of the vehicle. • Be careful that the seat does not hit a passenger or luggage. • After adjusting the seat position, release the lever and try sliding the seat forward and backward to make sure it is locked in position. • After adjusting the seatback, push your body back against the seat to make sure the seat is locked in position. • Do not put objects under the seats. Otherwise, the objects may interfere with the seat-lock mechanism or unexpectedly push up the seat position adjusting lever and the seat may suddenly move, causing the driver to lose control of the vehicle. • While adjusting the seat, do not put your hands under the seat or near the moving parts. Otherwise, your hands or fingers may be caught and injured. Hold the center of the lever and pull it up. 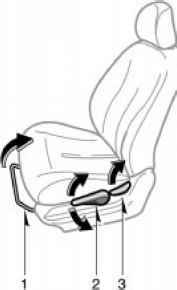 Then slide the seat to the desired position with slight body pressure and release the lever. Pull up or push down the lever. Lean forward and pull the lever up. Then lean back to the desired angle and release the lever. Avoid reclining the seatback any more than needed. The seat belts provide maximum protection in a frontal or rear collision when the driver and the front passenger are sitting up straight and well back in the seats. If you are reclined, the lap belt may slide past your hips and apply restraint forces directly to the abdomen or your neck may contact the shoulder belt. In the event of a frontal collision, the more the seat is reclined, the greater the risk of death or personal injury.